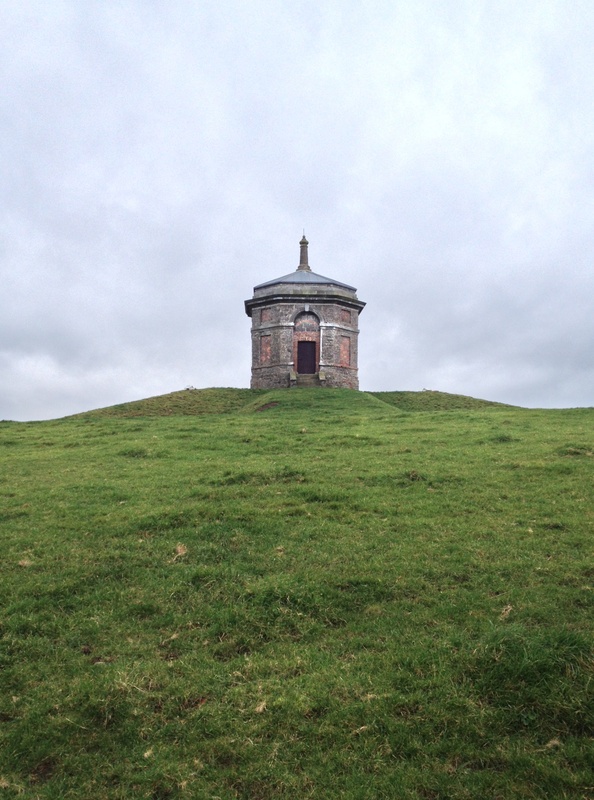 Set on top of a small rise, the elegant octagonal Belvedere at Dromoland, County Clare. This dates from the early 1740s and is believed to have been designed by self-trained architectural draughtsman John Aheron, a protégé of Dromoland’s then-owner Sir Edward O’Brien. Passionately interested in horses, Sir Edward apparently built the Belvedere so that he could watch racing across his land, and have views as far as Ennis, the county town. Entrance to the building is gained via a flight of steps to the door on the east side (there was another door on the south giving access to the half-sunk basement) and originally there would have been seven windows but now only three. The single room main floor was heated by a fireplace set in the north-west wall. One wonders whether the exterior clad in uncut stone would originally have been rendered, and indeed whether some of the openings were once as large as their brick arches suggest. Having fallen into disrepair, the Belvedere was repaired some years ago but now is both cut off from the rest of the estate, and unhappily marooned on a strip of land between a tributary road and a motorway. This entry was posted in Architectural History, Clare, Country House and tagged Architectural History, County Clare, Dromoland, Georgian Architecture, Heritage at Risk, Irish Country House. Thank you for this article. This structure always caught my eye travelling along the M18 due to its very prominent position in the landscape. I always presumed it was a Victorian folly. Its nice to know it once served a purpose. Love your blog, its one of only 3 or 4 sites I visit on a daily basis. Keep up the good work!